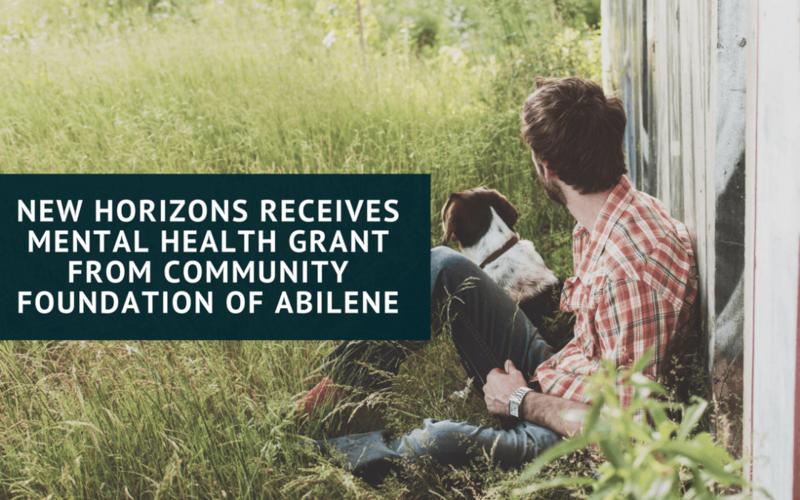 New Horizons was chosen as one of four recipients for the first ever Mental Health grant awarded by Community Foundation of Abilene. The grant was established as an endowment fund from the closing and sale of the Abilene Psychiatric Center. Grants went to non-profit organizations that are increasing access to mental health treatment for underserved populations. New Horizons received $10,000 and was acknowledged at the Foundation’s annual grant reception in April.